FSU Executive Committee 2018-2019 (Click here for meeting minutes). 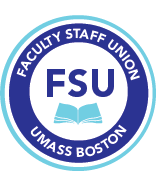 The Executive Committee is responsible for all policies of the organization inclusive of establishing committees that oversee collective bargaining and contract administration as well as member involvement and labor/management committees (see the FSU bylaws for details). Executive Committee members are elected by the FSU members who are from their constituency (librarian, non-tenure track, tenure track not yet tenured, or tenured) except that the President and Vice President are elected by the membership as a whole (NOTE: The President and VP will have their constituency counted in the Executive Commitee's proportional breakdown). The Spring 19 FSU elections have concluded. See here for the results. FSU members in good standing who wish to have an item added to the agenda of the next Executive Committee meeting should contact the FSU President.